Cover pencils by Curt Swan, inks by George Klein. Batman movie ad. "The Super-Human Bomb! 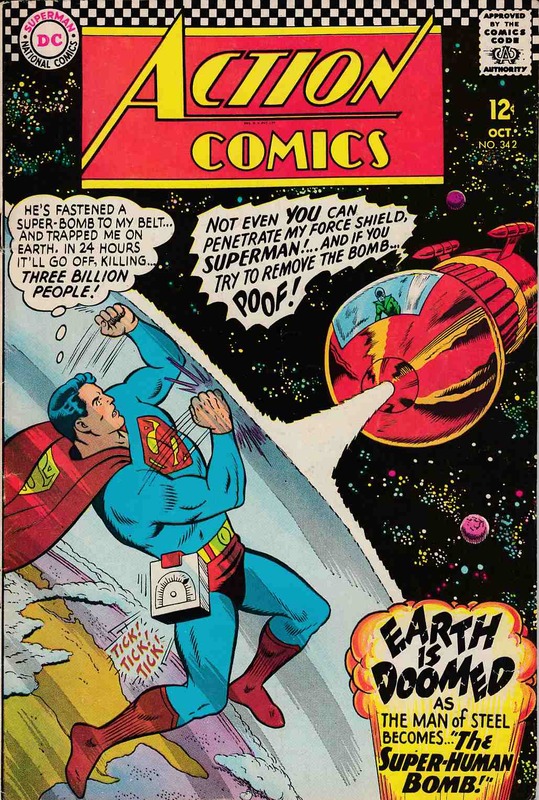 ", script by Jim Shooter, art by Wayne Boring; Interplanetary criminal Grax defeats Brainiac, then travels to Earth where he uses Brainiac's force-field to trap Superman on Earth, then attaches a super-powerful bomb to him which will destroy the planet. Plastic Man ad. "The Day Supergirl Became an Amazon! ", script by Otto Binder, art by Jim Mooney; Linda Danvers and two of her college classmates are shipwrecked on a South Pacific island inhabited by a tribe of Amazon warriors.